Who knew!? 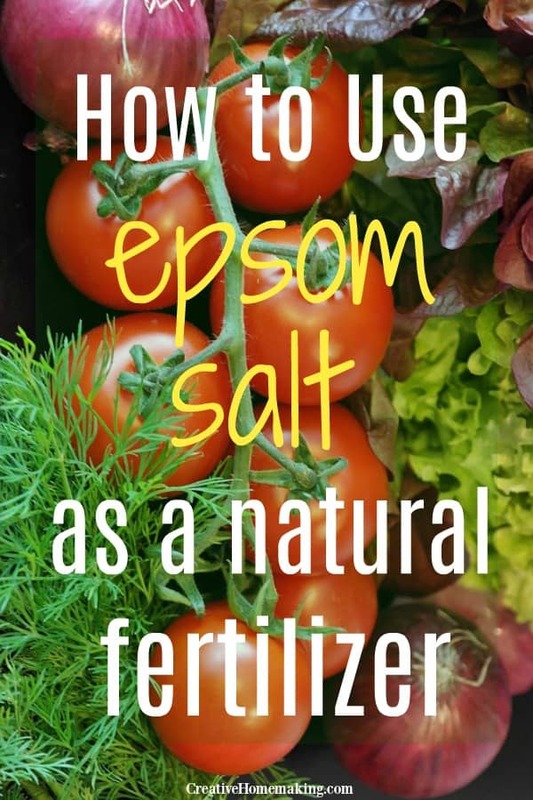 You can actually use Epsom salt as a natural fertilizer in your garden. Household Epsom salt is composed of a mixture of Magnesium and Sulfur, which are both beneficial for plants growing in your garden. Epsom salt is especially effective in encouraging growth in your green peppers and tomatoes. When you are planting bell peppers and tomatoes, add a tablespoon or two of Epsom salt to the hole before you add the plant. Even if your garden is already established, your plants can still benefit from Epsom salt. You can use a spray bottle to apply an Epsom salt solution to your plants. Just add 1 tbsp. 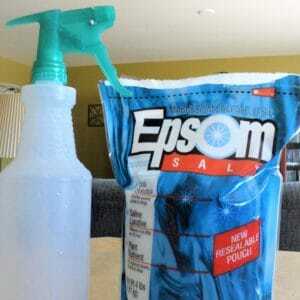 Epsom salt per 1 gallon of water and pour into a clean empty spray bottle. You can directly spray your tomatoes and peppers with the solution every two weeks. This will help deal with the problem of magnesium deficiency that is common with peppers and tomatoes later in the growing season. Many people swear by using the spray solution on their green pepper plants. It is supposed to make your peppers grow bigger. I have been using it on my peppers this year. I don’t know if it is helping or not, but my peppers sure are big, green, and growing like crazy. Last year I had so many bell peppers at the end of the summer that I ended up freezing some of them. Epsom salt is not only good for your garden. You can also use it in a homemade plant food solution for your house plants. You can find Epsom salt in the pharmacy area of any department store. It is VERY inexpensive and all natural. Epsom salt can be used as more than just a natural fertilizer. If you read the back of the box you will see just how many things you can do with Epsom salt. It is more useful than anyone ever knew!